UPDATE 1.30PM: THE VICTIMS of the fatal Whitsunday Air Services helicopter crash near Hardy's Reef on Wednesday afternoon were residents of Hawai'i, police have confirmed. The 35-year-old pilot and two remaining passengers, a 33-year-old man and 34-year-old woman from Colorado, escaped with non-life threatening injuries. A spokesman for the US Embassy said they are aware of the deaths of two of their citizens. 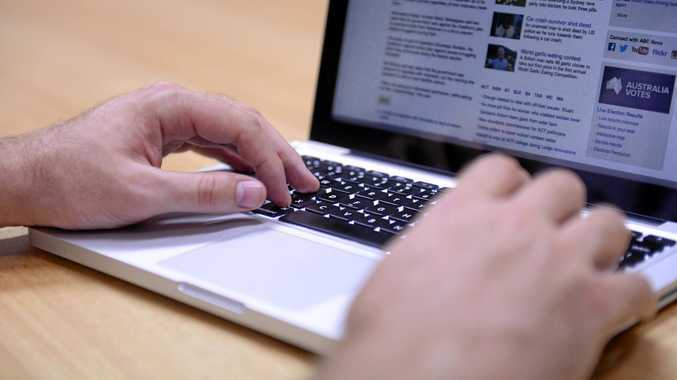 "We are aware of the deaths of two US citizens in Queensland," he said. "We are providing all appropriate consular assistance." Mackay District Inspector Ian Haughton said victims did not die on impact. "It was a normal flight ... On this occasion something went wrong and the consequences were tragic," he said. 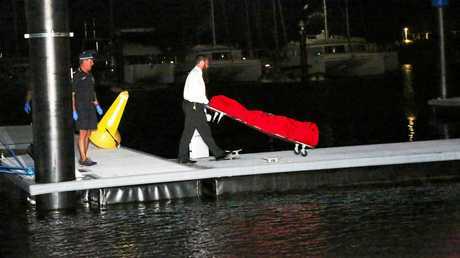 "I understand it was very close to one of the landing pontoons. "There were a number of people at that larger pontoon, and they have been spoken to last night. "The pilot managed to pull the elderly female from the plane, she was seated in the front seat. "The elderly male was seated in the back in the middle. "The helicopter has since sunk and is underwater. "This is a traumatic experience for anyone involved," Insp Haughton said. "For those people that were on board, you couldn't begin to imagine the impact on them." Tourism Whitsundays CEO Craig Turner has expressed his condolences to those affected by the incident. "Following the tragic incident that occurred yesterday afternoon at the reef, I would like to express my sincere condolences to those directly affected by the incident," he said. "I'd also like to praise the quick-thinking actions of those that helped at the scene. "Again, our thoughts are with the families and those affected by this tragic incident." An ATSB spokesman said investigators are heading to the crash site from Canberra and Brisbane today. It is unknown when the helicopter will be retrieved. The Great Barrier Reef Marine Park Authority has been approached for comment. 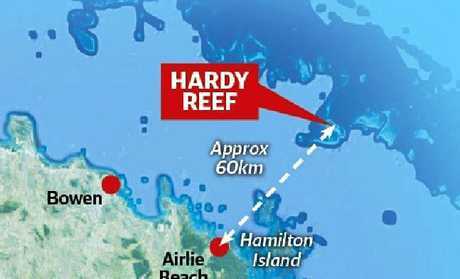 INITIAL: ALL four passengers of a Whitsunday Air Services helicopter that crashed near Hardy's Reef yesterday afternoon were tourists from the United States of America. District Inspector Ian Haughton today confirmed the victims were a 65-year-old woman and a 79-year-old man. Tourists at a nearby pontoon are believed to have given CPR to the two victims for a period of time but were unable to save them. The 35-year-old pilot, believed to be local to the Mackay region, suffered non-life threatening injuries. A 34-year-old woman and 33-year-old man escaped with minor injuries. None of them are in hospital. All four passengers are known to each other, but Insp Haughton could not say if they were all members of one family. Authorities say a helicopter crash in the Whitsundays has killed a 65-year-old woman and 75-year-old man. The other three passengers have survived, including the pilot. All four passengers are US nationals and known to each other. The Whitsunday Air Services Eurocopter was on its way to Hardy's Reef when it crashed into the water about 3.30pm. "It was a normal flight ... On this occasion something went wrong and the consequences were tragic," Insp Haughton said. "I understand it was very close to one of the landing pontoons. There were a number of people at that larger pontoon, and they have been spoken to last night. "The pilot managed to pull the elderly female from the plane, she was seated in the front seat. The elderly male was seated in the back in the middle. "This is a traumatic experience for anyone involved," Insp Haughton said. "For those people that were on board, you couldn't begin to imagine the impact on them." The victims of the Whitsundays helicopter crash didn't die on impact, Insp Haughton said, the pilot pulled the woman from the wreck and those nearby administered CPR. A "robust, transparent, and extensive" investigation is being conducted by Queensland Police and the Australian Transport and Safety Bureau. 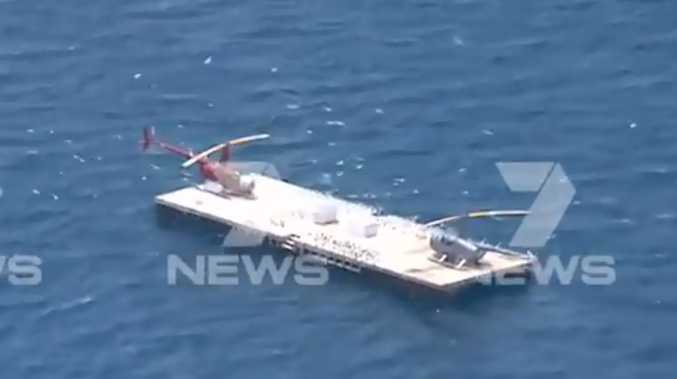 Whitsunday Air Services said that the helicopter was on final approach for a landing at its Hardy Reef Heliport when the crash occurred. "We are extremely saddened by this incident and our deepest condolences are with the families of all of the passengers," the company said in a statement late Wednesday. "Whitsunday Air Services is continuing to work with the Queensland Police, the ATSB and CASA to assist with their investigations. Whitsunday Air Services will be suspending all operations while a full review process is undertaken." Whitsunday Air Services operates at least two Airbus H120s, which were previously manufactured by Eurocopter as the EC120B.